I am on a Modern Family marathon today! Watching their Valentine's Day episode as I type this. It's so funny and sweet, and I love that they have little 'awww' moments, when members of the family do something sweet for one another. Plus, I love that it's about family! 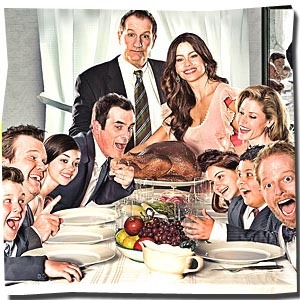 If you haven't seen Modern Family yet, check it out! It's fun, it's bright and happy, it's so cute!